You switch off the computer, put your phone on silent and look at the blank sheet of paper on your desk. It’s a big moment – you’ll need absolute silence to concentrate. Planning your marketing spend for the next 12 months is no mean feat. How do you choose where to focus? Facebook seems to have had a lot of press recently so maybe you should commit some marketing budget there. You stare out the window and watch the trees blowing in the breeze, listen to the noise of the traffic from the nearby highway, and still no inspiration comes. There was that special offer that came through the post from Google to get started with Adwords. Maybe you should give that a go. There are hundreds of marketing channels competing for your time, attention and budget so how do you learn which ones are going to be most effective in delivering sales for your business? There are three simple steps to identifying the best channels, which we’ll explore one at a time here, before digging deeper into a couple of key channels using some sneaky (and insightful) techniques. Before you do anything, you need to know what you’re trying to achieve as this will affect your tactics. For example, an accountancy firm will want to build long-term relationships with customers who go on to deliver a lifetime of sales, while a fast food chain will be looking for an impulse sale. What’s your budget? A $10 million marketing budget offers more scope to reach a larger audience, but if you only have $1000 for the year you’re forced to take a more creative and targeted approach. Throwing jelly at the wall and seeing what sticks isn’t an option if you only have one spoonful of jelly (click to tweet). Facebook advertising, emarketing and SEO are excellent tactics for smaller budgets, as you can create much of the content yourself (with the right knowledge) and build loyalty over time with your growing audience, while large scale multimedia campaigns offer access to a larger audience at a higher price. My 90 year-old gran isn’t on Facebook, she’s never ‘Googled’ anything in her life, and doesn’t have an email address (I know!). But she reads a daily newspaper, watches daytime television and loves thumbing through catalogues. If she were my target customer, I might consider inserting a printed leaflet in a newspaper or running an advert on TV. Facebook ads wouldn’t even get close to reaching her. Do you know the habits of your ideal customer? If you’re still not clear who you’re targeting, check this post from John which walks you through how to create a clear customer avatar. So now you know the basics, let’s explore some more in-depth techniques to finding the marketing channels most likely to convert. We know that it’s important to be on websites and social networks popular with your customers so let’s do some detective work – to get started, visit Buzzsumo – this is a paid tool but you can access limited information without signing up for the paid plan. 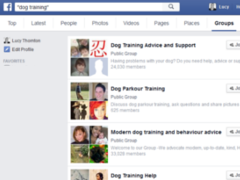 Let’s suppose you are a dog trainer – you type “Dog training” into the search bar and the results show that the most popular posts have been shared most on Facebook, with far fewer shares on Twitter, LinkedIn, Pinterest or Google+. We can see some pretty active groups, some with over 20,000 members – Facebook is starting to look more and more attractive as a marketing channel to connect with our audience. 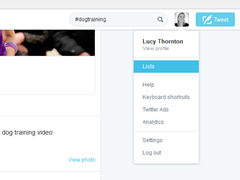 Navigate to the ‘Live’ tab to see what people are tweeting right now around this topic – when I did this, there were plenty of live results, from companies selling dog training collars to people talking about a dog training podcast. Wait. 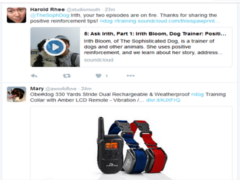 A dog training podcast? OPPORTUNITY ALERT! There may be a chance to be a guest on this podcast, or perhaps its popularity suggests you might want to consider starting your own podcast in 2016 – take a look at the podcast in more detail and to see numbers of downloads and reviews. I would also use this initial Twitter research to identify any popular hashtags and influencers (add influencers to a new Twitter list – having a separate list makes it easier to keep track of their tweets so you can engage with them and begin to build relationships). Research takes time and effort – but there are tools out there to help. 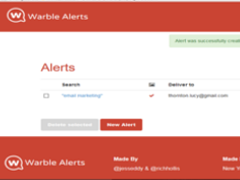 I love Warble – it’s a free tool and it sends daily alerts from Twitter showing tweets containing a particular keyword or phrase. Doing any type of research takes time – it’s a bit like following Alice down the rabbit hole – you might get a little lost, but you just might discover an engaged hidden micro-community of potential customers, who are just waiting to discover your amazing business that solves their problems overnight. I aim to do this type of research once a quarter, to evaluate my chosen channels and identify any potential new ones. However, I also pick up new opportunities as they arise simply by being active in the communities and seeing what people are talking about, so don’t be surprised if your plan evolves over the year. Next time you sit down to plan your marketing spend, you won’t be starting with a blank sheet of paper and a head full of conflicting ideas. You’ll be starting with a clear direction, backed by first-hand experience and thorough research. 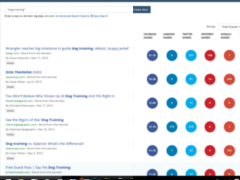 What other tools do you use to research the most effective marketing channels? Please share them in the comments. Lucy Thornton is an online marketer helping tourism businesses get found online by the right people at the right time. She is author or 41 Fresh Marketing Ideas for Your Business which you can download online for free here to be inspired with loads of new ideas to kick-start your marketing today. 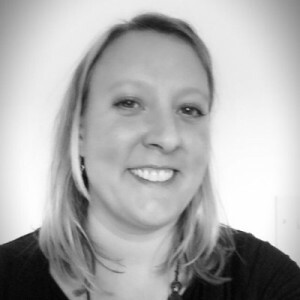 Come say hi to Lucy on Twitter or connect with her here on LinkedIn.